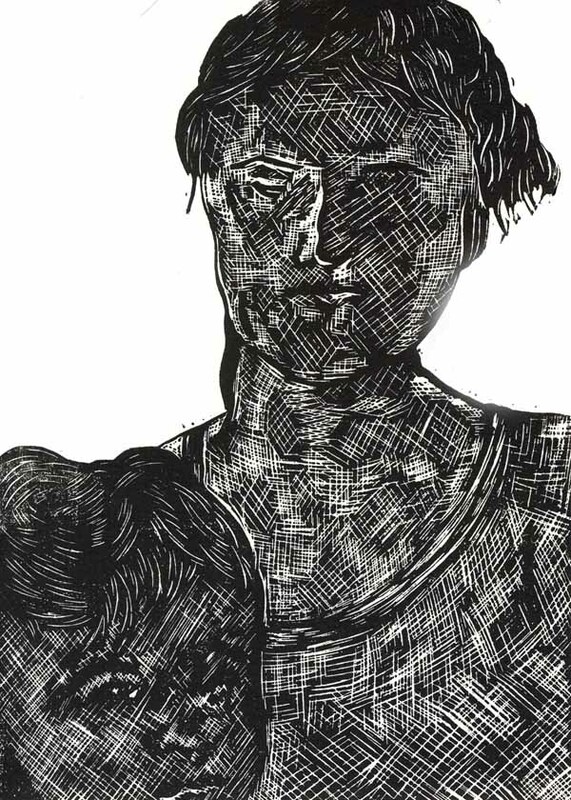 This is another in my series of experiments to see how much detail I can achieve in a linocut. It is also a failed commission. 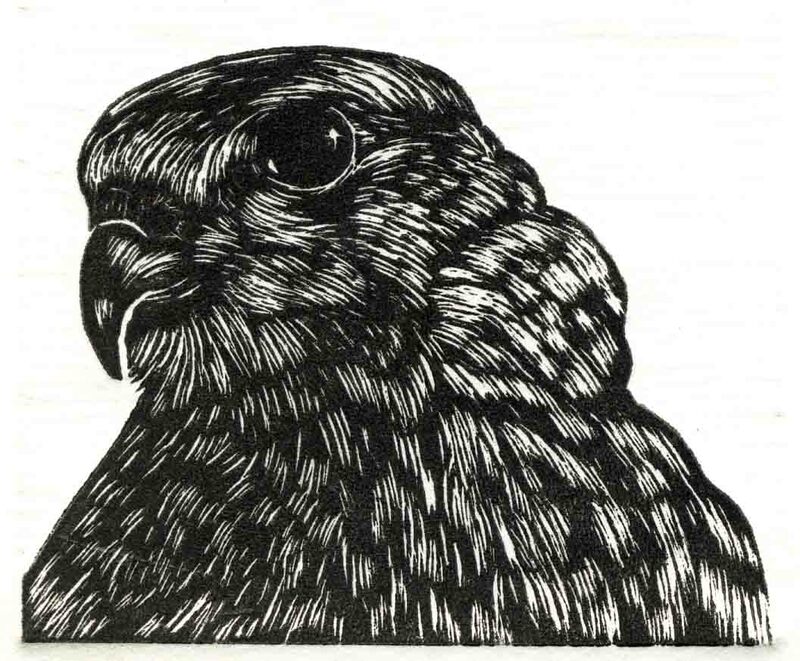 I was asked to make a falcon for a Christmas card, but after the print was completed, the people changed their minds about using it. Oh well.